Why get involved in advocacy? 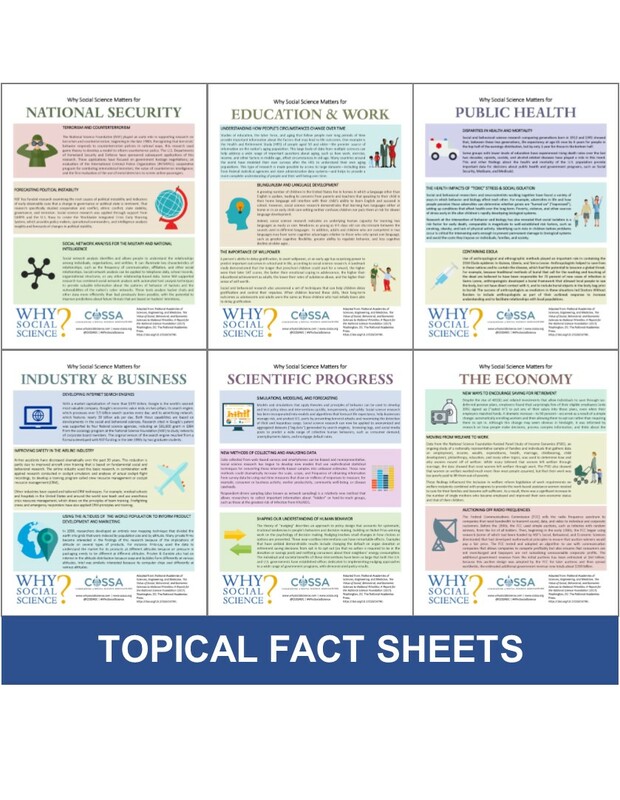 COSSA works hard every day to communicate the importance of social and behavioral science research to policymakers. But ultimately, the most powerful stories come from people who can speak from experience about what it is like to apply for a federal grant, conduct research, or watch as their findings reach (or fail to reach) a broader audience. In a survey conducted by the Congressional Management Foundation, 94 percent of Congressional staff said that constituent visits have “some” or “a lot” of influence on an undecided Member of Congress—more than any other strategy for communicating with Congress. 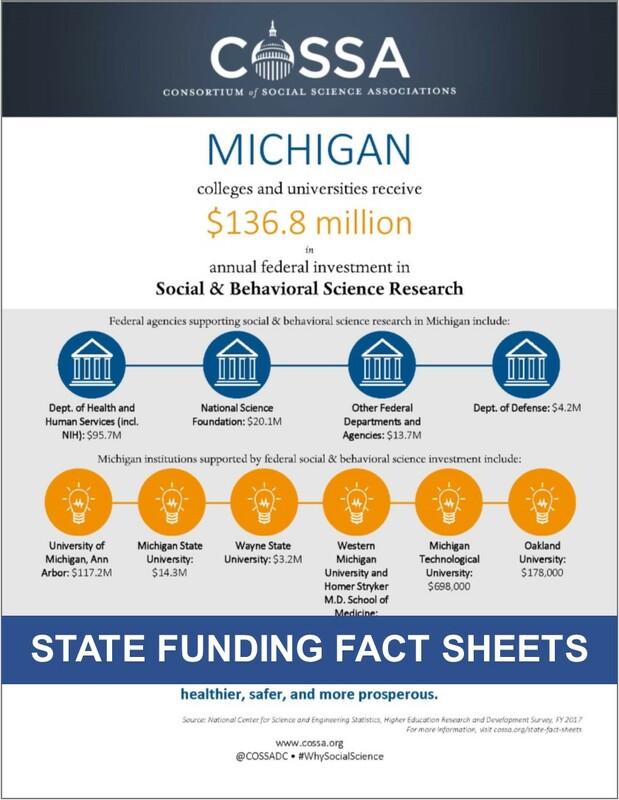 And social and behavioral scientists are not just any constituents—they bring invaluable expertise on a wealth of important issues facing our nation. 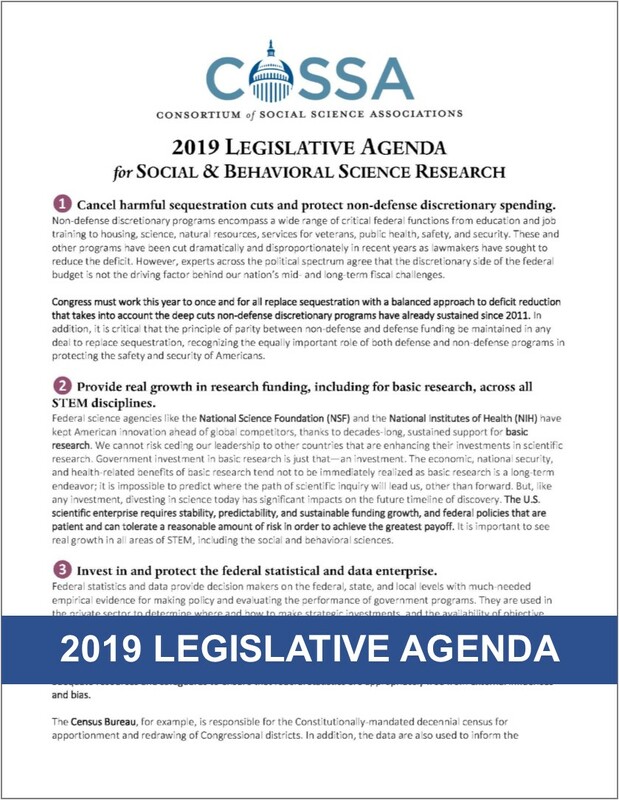 Educating policymakers about social and behavioral science research—and its contributions to sound public policy—is especially important because these sciences are not always well understood on Capitol Hill or in some federal agencies. Find your Member of Congress. 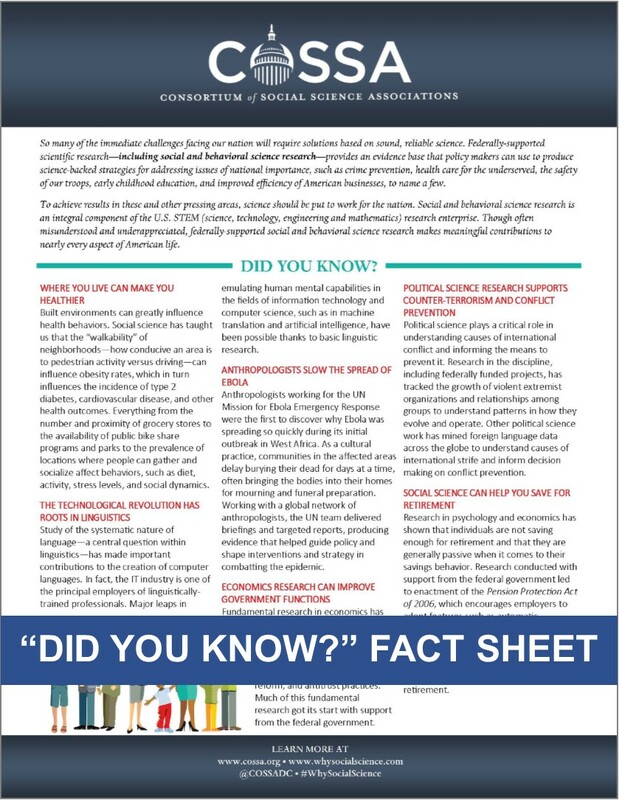 Once you have identified your delegation, you can do a little background research to aid in your advocacy efforts. You might want to find out what committees and subcommittees they serve on or if they belong to any relevant caucuses (informal groups of Members formed around issues of mutual interest). Each Member of Congress maintains a website where you can find detailed information on their legislative priorities and policy positions. 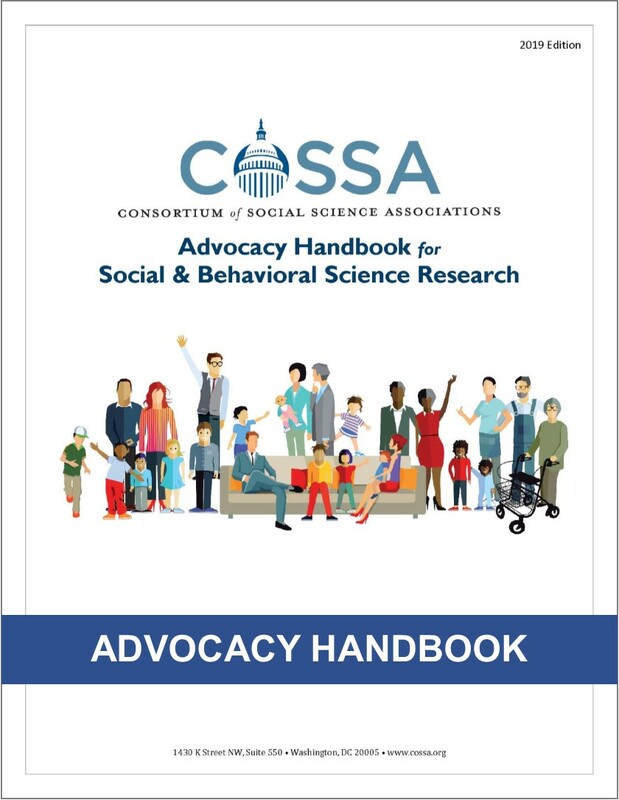 Subscribe to COSSA’s Advocacy list to be alerted to opportunities to take action in support of social and behavioral science. Respond to an Action Alert. Subscribe to COSSA’s alerts here. Set up a meeting with your Congressional office—in DC or in your home district. 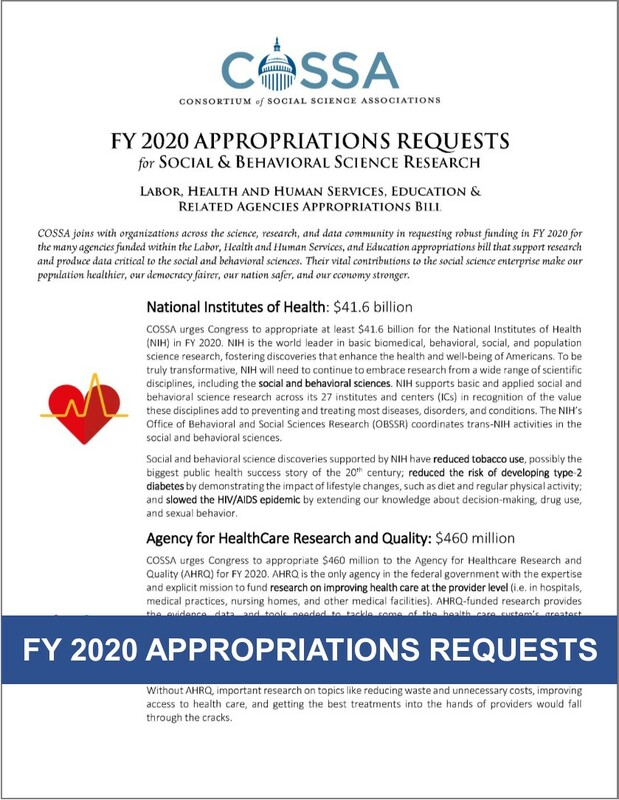 Call or write to your Members of Congress.